Why Book reading is important? It is essential for students to understand the value of books. In a day and age that technology has succeeded in putting forward different forms of advancement in the society, phones are preferred over books. Despite this, books still remain even in the virtual form. In ancient days books were the gadgets and library was the Google. Presently also books are ready to access different gadgets. A book is those instruments that design the student imagination and sharpen the mind and teaches the students beyond the classroom. Reading the book open up the mind of the student in the different world. The importance of books to the student also relies on how students make use of them, both inside and outside the classroom. Reading should be seen as an activity that enriches both mind and soul, especially if you know the right book to read. Many unsolved mysteries are solved through books. Books are the best companions which help us to construct our mental Stimulation. Books console us in our sorrows. Reading helps us with creative and logical thinking. Books are the great teacher that helps us to learn more things and show the solution to a lot of problems. Reading enhances our knowledge and brings enlightenment among the people. Book reading keeps our mind calm and in peace. Books play a vital role in shaping the individual personality. A wide range of books used from our childhood acts as an enormous companion. Books give us the inspiration to do great things. In the present scenario, vocabulary is very important to communicate. Reading obviously increases the vocabulary of the readers by introducing them with the new and unfamiliar words and phrases regularly. It not only enriches our vocabulary but also teaches us the better way of expressing ourselves. Reading will help the student to understand the world in a better way as they come across different perspectives which will help them in breaking prejudice and will help in the future to make better decisions. By reading books the student will know the new thing which improves him by self. The habits of reading daily help to get more information and data. That combination of data and information will give the knowledge that can use in business and career. Whatever is convert daily it will keep updating the knowledge. That’s why reading books is a really important source of knowledge and that helped to become successful in any field working on. Reading is a great habit that can change human lives dramatically. It can entertain us; amuse us and enrich us with knowledge. It helps us reducing stress, relieving tensions and thus boosts our energy. It carries us to the realm of dream and amusement – far away from the real complex world. Reading not only enriches your knowledge but also makes it sharpen to analyze and evaluate things in a better way. In this way, reading enhances our analytical thinking. 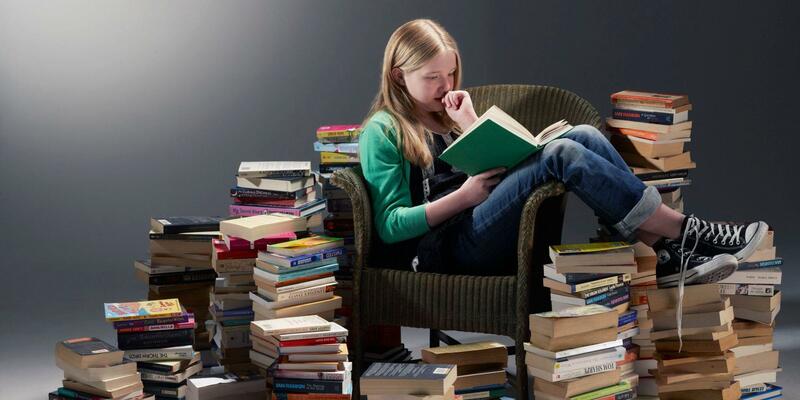 For reading one needs to be focused for a longer duration and it requires mental exercise. For understanding the text or the whole story, the reader must concentrate his mind towards the particular matter. In this way, reading improves our concentration power and focus. Reading explores us in the different direction and explores us to discover new things. By reading the book ok the reader will get to know many things and leads to discovering of new things. It can help you to make renowned decisions in life. Books are the easily carried and cheapest source of entertainment. Books aare carried anywhere in the world without any conditions. It is cheapest because not need of charging or currency required for reading. It is one time investment. Reading plays a crucial role in life. While reading whether you are reading a newspaper, any article or novel you will observe that your mind start to think like that and your imagination power increases. Reading helps in broadening your mind and imagination. Also, reading is a type of activity that surpasses your knowledge.